Moules Marinière is a classic French dish, a firm family favourite! 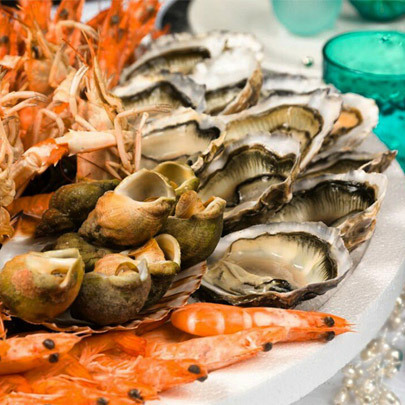 This recipe uses Dutch bottom-culture mussels by Prins and Dingemanse, they are famous worldwide for their delicious and juicy mouth-watering mussel meat. 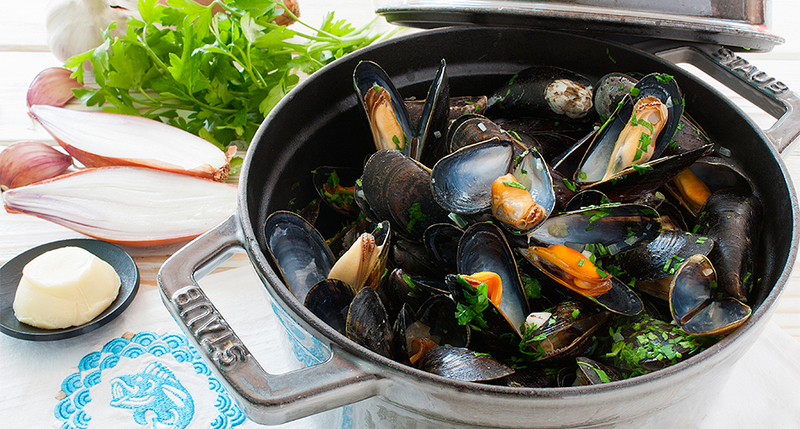 Wash the mussels under plenty of cold running water. Discard any open ones that won’t close when lightly squeezed. Finely chop the Banana Shallots and Garlic cloves. Once the garlic and shallots become transparent add the vegetable stock and bring to the boil. Once boiling, add the mussels, then cover and steam them open in their own juices for 3-4 minutes. Give the pan a good shake every now and then. Once mussels have opened take off the heat and sprinkle with the chopped parsley. Season with freshly crushed sea salt and black pepper. Spoon into two large warmed bowls and serve with lots of crusty bread.